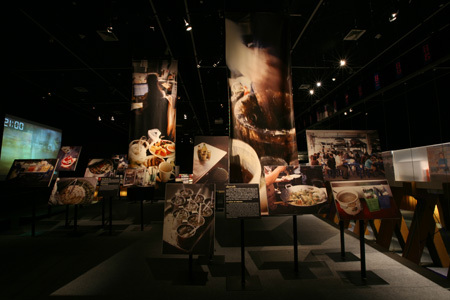 The making of the exhibition, Quick Bites… Design for Better Living at Thailand Creative and Design Center, Bangkok. Supermachine unveils the stories behind the scene of the intensive but enjoyable process. 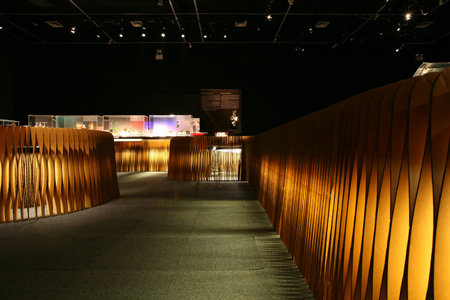 The images of the completed exhibition, called Living under the Crescent moon; Domestic Culture in The Arab World. 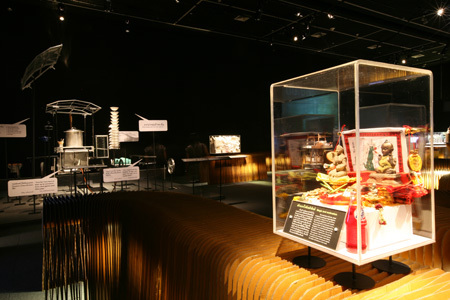 It is a traveling exhibition from Vitra Design Museum, Switzerland exibited at Thailand Creative and Design Center, Bangkok. Thisdesign Supermachine participant; Orada Singhadechachai, Pitupong Chaowakul with Worawit Hongwiang, Attasit Kongmongkol. 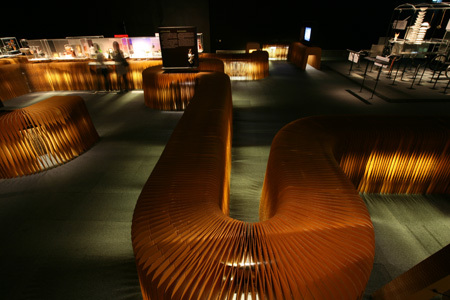 End of 2006, we had a chance to design a full scale exhibition for the first time for TCDC (Thailand Creative and Design Center), at Emporium Bangkok. 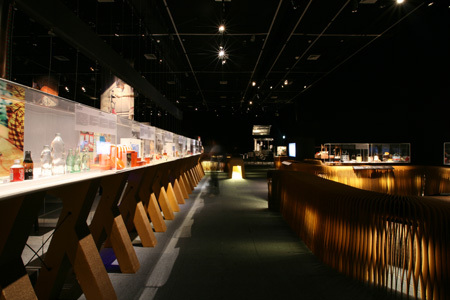 The exhition is called “Living under the crescent Moon: Domestic culture in the Arab world”, which is a traveling exhibition from Vitra Design Museum, Switzerland. 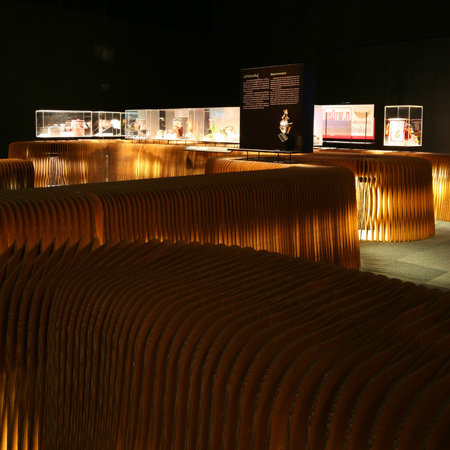 We would like to make a cavelike envelope in which showcase units are incorporated into its surface. 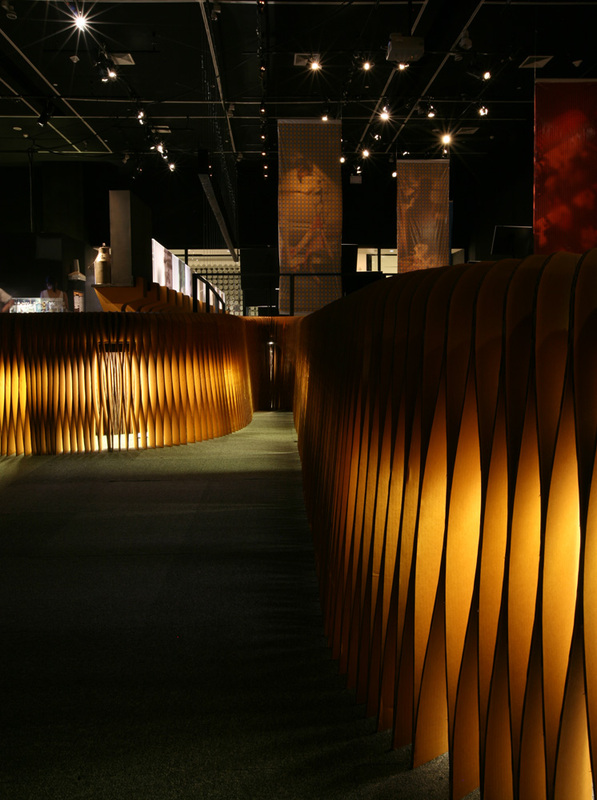 Inspired from the interior of Nubian’s mud houses, where substraction in the wall accomodates different households, we build our exhibition wall from MDF panels. 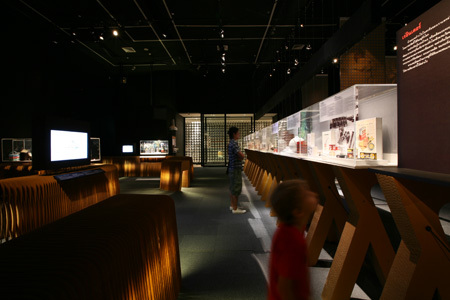 The whole exhbition is divided into 22 stations. We design 15 modules that interlock thus creat big and small pods that exhibit different content starting from the Arabian Nomads till Modernism in Egypt.